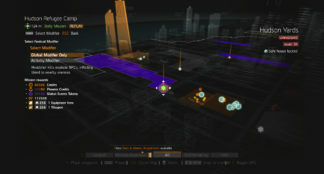 Global Events are time-limited – usually for one week lasting – events that occur on a regular basis and add special modifiers to the open world gameplay experience in The Division. As soon as your character reaches level 30, you will automatically participate in these events as one of these modifiers becomes always active for the entire PvE content, while additional ones can be added to increase the difficulty as well as the chance to earn more rewards by completing them. On top of that, a for Global Events created leaderboard allows you to compare your results with friends and/or other players worldwide. Global Modifiers, the ones which represent the event itself, are so-called positive modifiers and should help the player to succeed in a new interesting way, no matter how good or bad you are. One of them, for example, could add a modifier that “lets NPCs explode on a Headshot kill, inflicting bleed to nearby enemies”. Activity Modifiers on the other hand – like Directives – add some challenges to the existing content. As one of the screenshot shows, this could be “poisonous enemies which will cause damage over time to you if you are getting too close to them, while Headshots kills will inflict the Bleed status effect”. Group Modifiers are a mix of both, Global and Activity Modifiers, with another layer on top of it that is specially designed for group play. These require more coordination, teamwork, and tactics, but will also give better rewards in the end. 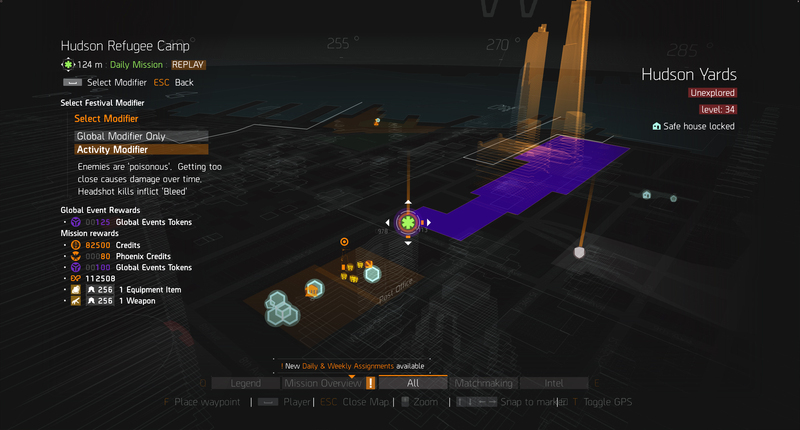 Global Events Credits, in short, GE Credits, can be received by completing missions and Incursions, killing Named NPCs, or opening different types of Caches. 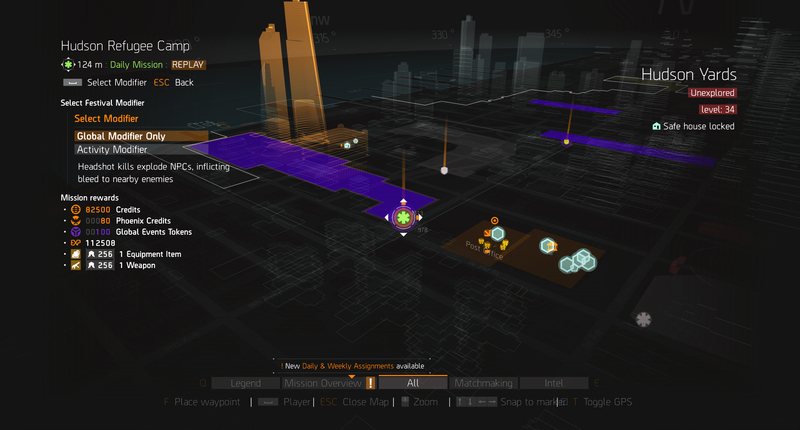 Worth to note is that only Caches which are found during a Global Event can give GE Credits. 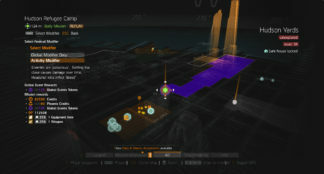 This currency can then be exchanged for Global Event Caches, unique vanity items, and sets at the Global Events Vendor. The number of credits you can earn is based on the difficulty, ergo on the additional modifiers you have enabled and is capped at a maximum of 10k, while they are persistent between Global Events. GE Credits can be earned in the following activities. There is also a chance that Survival, Last Stand and Skirmish Caches also contain some of them. There are two types of Caches available to buy from the Global Events Vendor. The Classified Gear Cache guarantees 1 Classified Gear piece from the entire pool. This allows the player to purchase, for example, a Fire Crest cache that guarantees one item from that set. Rewards will be awarded once the Global Event is over and can be grabbed at the Rewards Claim Vendor under the Resources tab. Face Masks are additional rewards which can be unlocked by completing Commendations assigned to the Global Event. They don’t drop from NPCs. Here is an overview of how many Global Event Credits you can earn per activity. Only caches that are earned during a Global Event can contain GE Credits. The position in the Global Events leaderboards is based on your best hour of gameplay during a Global Event. This rank is determined by counting the number of GE Credits you have earned in 60 minutes together and then selecting the best performance while the event is running.